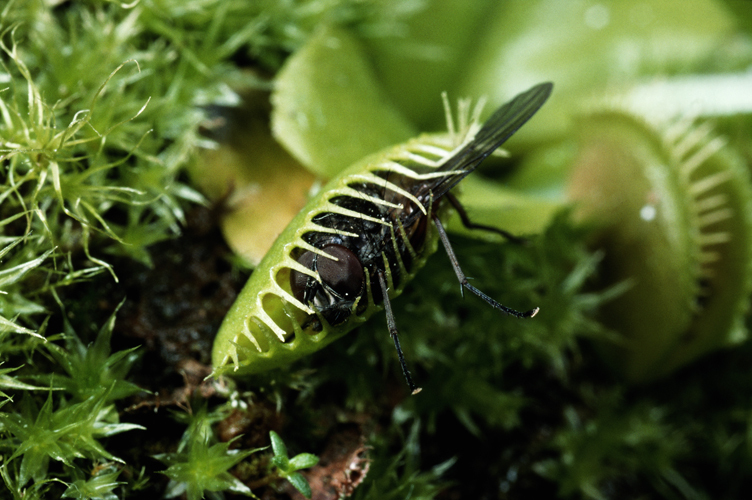 Tropisms allow plants to seek out the best conditions for survival. Tropisms are controlled by hormones called auxins. Tropisms react to varying conditions of light, gravity and water. There are both positive and negative tropisms. 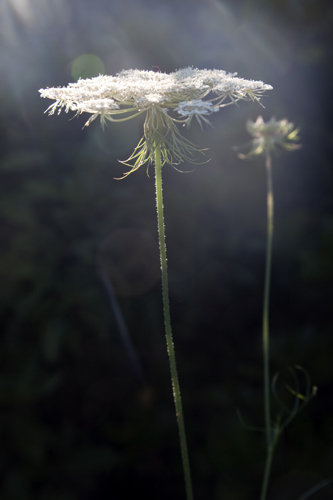 The unfurling of a flower as a day breaks, or the snap of a Venus flytrap shutting. 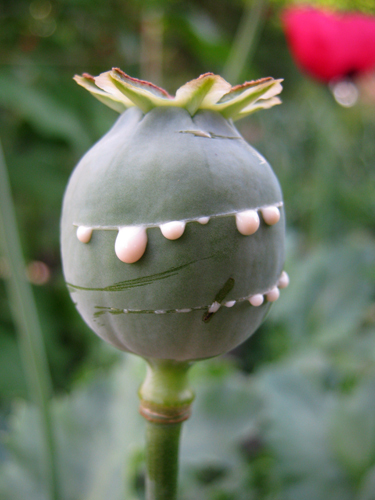 Occasionally, plants can respond very quickly to a stimulus. 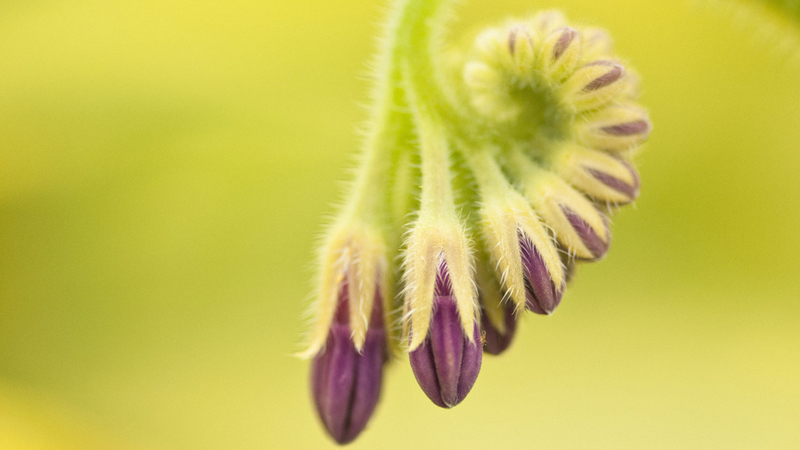 But most responses in plants are far too slow to see in real time. These responses are controlled by growth. Growth responses are constantly at work, directing plants towards, or away from a stimulus, to seek out the best conditions. 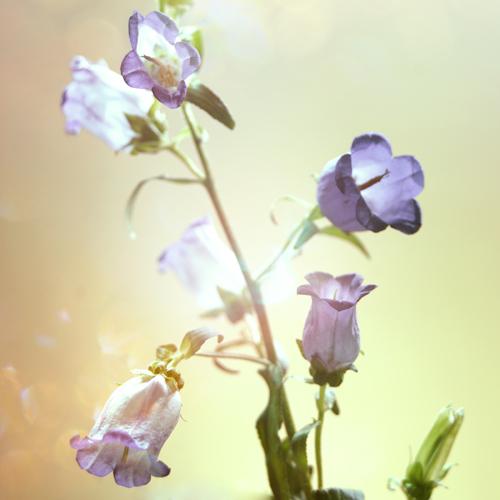 The most crucial plant tropisms are to light, gravity, and water. 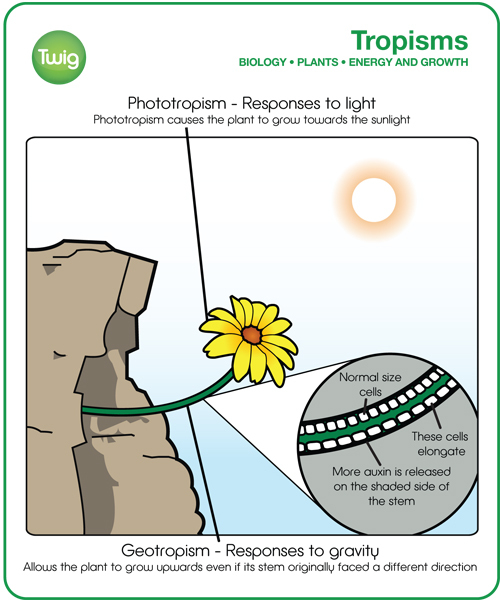 Responses to light are called phototropism. Responses to gravity are geotropism. And responses to water are hydrotropism. Growth responses are either positive or negative – towards or against the stimulus. For example, when this seed germinates, the shoot will always grow towards light, and upwards against gravity. Whilst the roots always grow down into the soil, and towards water. But how the plants control these growth responses? The answer is a plant hormone, made at the tips of stems and roots – auxin. The amount of auxin can be affected by external conditions and it encourages growth. For instance, because light falls unevenly on this stem, more auxin accumulates on the shaded side, causing it to grow faster. 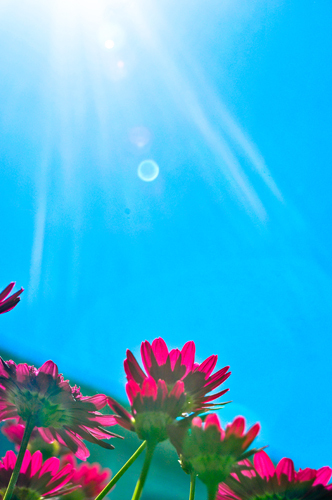 The result is a stem that bends towards the light. Knowing the effects of plant hormones means we can use them for our own benefit. Auxins are used in rooting powder, to stimulate root growth on plant cuttings, and increase fruit yields. For all plants, tropisms provide a critical response system, allowing them to seek out the best conditions for survival.